Ankeny Iowa is a well-planned city near Des Moines with a population of 40,000. Ankeny describes itself as committed to having a small town atmosphere with all the benefits of a big city. One of Iowa’s most desirable communities, it is the third largest in the Des Moines Metropolitan area, Ankeny Iowa is also nationally recognized for its family-friendly neighborhoods. When you look at the many attractions the city offers, you may fall in love with it instantly. 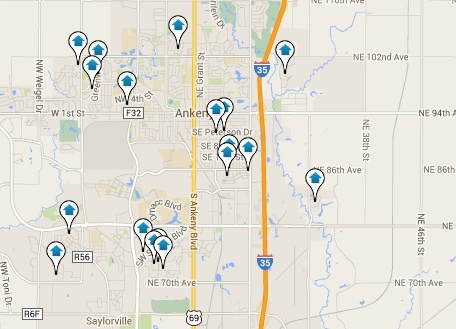 Look at the Ankeny homes for sale and you may be the next new resident. To begin with, Ankeny is the place to work hard and play harder. It starts with two Aquatic Centers, Cascade Falls Aquatic Center and Prairie Ridge Aquatic Center. Love the outdoors and spending time in a park atmosphere? Ankeny has 35 parks covering 34 miles of trail, including the new Dean Park Project in Prairie Trail, and Hillside Park; with 2 playgrounds, a pond, shelter and trail. Another brand new park is Heritage Park on Fish Drive, with a popular 21 hole golf course. The City of Ankeny Skate Park is next to Prairie Ridge Aquatic Center and offers 9000 sq ft of concrete for skating, skate-boarding and other rolling fun. There are more trails, an 8 acre Dog Park, stocked fishing ponds, and the Prairie Ridge Sports Complex for sports enthusiasts. Truly Ankeny offers many options for play, exercise, and fun. The Ankeny Arts Center offers art classes, craft shows, wine tastings, exhibits, and a live theater for stage performances. Additionally, the Iowa Events Center brings quality entertainment to central Iowa for short and long term enjoyment. The Ankeny public schools have an outstanding reputation in the Mid-west. Ankeny boasts the lowest dropout rate in the 10 largest Iowa school districts, and 78% of the graduates in 2010 scored an average of 23.4% on the ACT. The state average is 22.2%, and the national average is 21%. The school district enjoys a long and proud tradition of striving for “excellence in education” and is one of the fastest growing school districts in the state of Iowa. 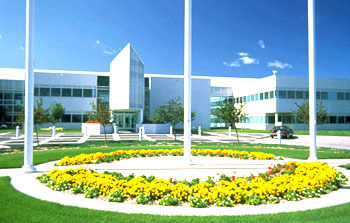 Ankeny is home to Des Moines Area Community College, Iowa’s largest community college, Faith Baptist Bible College and a number of four year private higher education facilities. The many restaurants and nightclubs provide a strong entertainment base for residents and visitors alike. All aspects of Ankeny's business community represent a productive and well-educated lifestyle. The Chamber of Commerce is pro-active and networks the businesses and residents to make the city a fine place to live, work, and enjoy the good life. If you find a property being offered outside of a licensed real estate agency, consider this... Buying a home is one of the most important investments you will ever make. Trying to deal with the paperwork and legalities of a real estate purchase without the experience and services of an agent is risky and can result in many problems and regrets later. The home buyer is typically not responsible for commissions and agent's fees - the seller is. It's to your own benefit to insist on having a professional to guide you through the transaction. Don't try to go it alone! If you are interested in any of the Ankeny homes listed for sale on our site, just let us know an we can answer your questions and arrange for private tours at your convenience.